New mods for PES 2017 have been added during this week. Do not miss the great PesGalaxy.com Patch 2017 version 3.00. Also available new faces, adboad, boots packs an more. Some great mods for PES 2017 have been added to our Download Center. Faces, Scoreboards, Kitspacks and the latest version of the amazing PES SMoKE mod. Check them out in our Download Center. Konami Digital has revealed the details of its third free Data Pack update for PES 2017, with a wealth of new faces, Legend players and more coming February 9 on PlayStation 4, XboxOne, PlayStation 3, Xbox360 and Steam. Some great mods for PES 2017 have been added to our Download Center. Don´t miss new faces by Gonduras2012 and Andrey Pol. 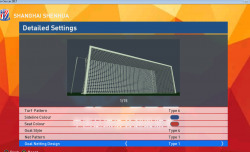 Also check out a version 1.00 of PES-Hellas Patch. Get them from our Download Center. More files for PES 2017 have been added to our Download Center. New faces packs, Balls Packs, Kits, Gameply Mods and more. Get the from our Download Center. Thanks to all modders for sharing their work. New!! (Nov 7, 2017) csl adboard entries moved higher up config.xml file and Edit file changed. There was a problem in the CSL cup and super cup with the adboards of other stadia taking precedence. Now all games with CSL teams keep the adboards. Additionally, I finally managed to modify the Edit file to correct the short team names of 4 CSL teams; Guangzhou Evergrande, Tianjin Teda, Tianjin Quanjian and Beijing Guoan. 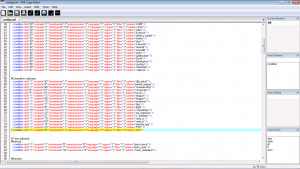 The edit file is included, just replace it in your /save folder. If you wish to modify it yourself, the only program I could get working was PES ZS 2017 EDITOR by buhalo88. Load the edit file, scroll to the team you want and enter the correct name and make sure to save. Update!! (Oct 22nd, 2017) CSL intro movie added and unicolor file fixed to show correct kit icons to match the uniforms in the strip select menu. 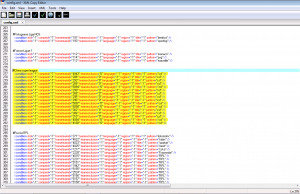 You can download the movie and unicolor file as a separate cpk file here or scroll down to the bottom to download the updated patch add-on with the edit file included. It is important to follow the instructions. 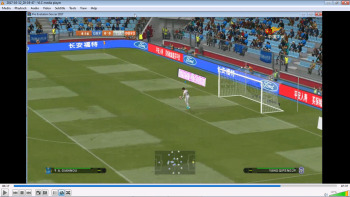 It also has been tested for PES 2016 and non-Smoke PES 2017 versions. If you wish to use it for your own versions and patches then you have to unpack the .cpk with CriPacker and pick and choose the files you want from the /common folder. IF you add "csl mini add-on smoke 9-5 update.cpk" to your DpFileList.bin file it should work but the reason that it was made specifically for SMoKe 9.5 is that it has modified its config.xml and ball.bin files. Using this add-on on other patches directly will mess up your adboard allocations for different leagues, teams and stadia and will potentially over-write or rename your balls as the SMoKE 9.5 ball pack is unique. Pro Evolution Soccer 2017 is a sports video game developed by PES Productions and published by Konami for Microsoft Windows, PlayStation 3, PlayStation 4, Xbox 360 and Xbox One. Konami partnered with FC Barcelona, Liverpool F.C., Borussia Dortmund and Club Atlético River Plate which will include recreation of the official kits, player faces, club logos and stadia among other exclusive content. Features include improved passing, Real Touch ball control, and improved goal tending technique. It includes fully licensed Arsenal, Atletico Madrid and Barcelona teams. Download New Updated!! PES 2017 Smoke Patch 9.5 CSL Mini Add-On. This is a mod for Pro Evolution Soccer 2017 video game.